Dr Michael Kanner, MD (Aventura) - Book Appointment Online! Your eyesight is precious When you need eye surgery to improve or maintain your vision, you need to know that the ophthalmologist you’ve selected is one of the best. That’s why people in South Florida looking for an exceptional eye surgeon turn to Dr. Michael Kanner. For over two decades, Dr. Kanner has been providing South Florida residents and visitors state-of-the-art eye surgery and vision care. Whether you need LASIK or cataract surgery, you’ll receive the care you deserve without leaving South Florida. 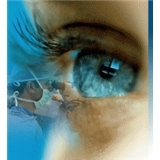 Dr. Kanner and his staff provide personalized eye care. The professional staff in his Aventura, Florida ophthalmology office will help you schedule your evaluation and the right kind of eye surgery for your vision needs. After your surgery is complete, you’ll receive one-on-one follow-up care, to ensure that your results are the best possible for your unique vision problems. Dr. Kanner was great, very informative and thorough. I felt great leaving his office knowing I had found the right doctor for me.